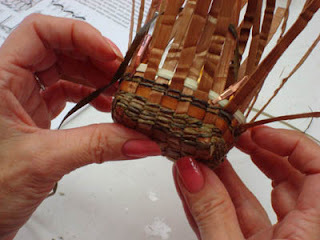 Last weekend I taught a group of eager students the basics of plain twined baskets at the Dietrich Theater in Tunkhannock, PA. Each student used base spokes of red cedar and weavers of willow skin to create their finished piece. Each student had the opportunity to select from a range of accent materials. 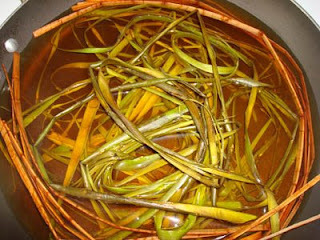 They chose from dyed cedar, beargrass, elm bark, sweetgrass to make their basket unique. We had a ball and everyone seemed delighted with their creation. geesh, i gotta get rich and buy a jet or something...wish i could take one of these with you. maybe when we retire and move to PA! In the mean time, it looks like it was fun! Most of these students were beginner basketmakers. 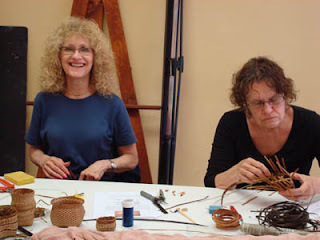 I love opening their eyes to the idea you can make baskets with native natural materials.